I am a fan of both musicals and the movie Mean Girls, but I am not sure where I stand on the musical adaptation of the movie Mean Girls, in part because I am not fourteen anymore, but also because I once saw a heinous Anne of Green Gables musical on Prince Edward Island and now I never want to look at one of those books or Canada again. Musicals have the power to ruin the things you love! The good news is, Mean Girls opened on Broadway Sunday night and critics seemed to like it, so perhaps it is good? I don’t know. I am afraid. 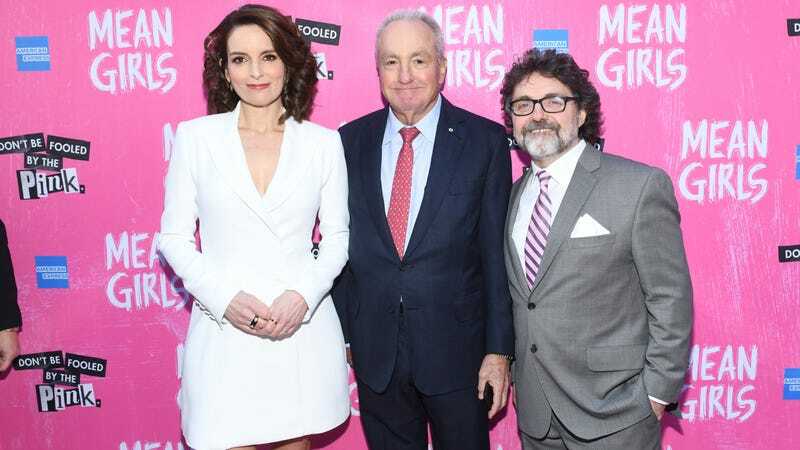 The Washington Post called it “enjoyable” and noted the script, which was written by Mean Girls OG screenwriter Tina Fey (her husband, Jeff Richmond, wrote the music, with lyrics by Nell Benjamin), was “tailor-made for any adult ear that grooves on mischievous wit.” Deadline said it was “fetch,” even though “fetch” is certainly a word that died after its brief stint in 2004 as slang in London. Vulture says it has “immense energy and a wicked sense of humor.” Entertainment Weekly called it “frequently hilarious.” The New York Post hated it but they hate everything. Only the New York Times realized my true fears, calling some of the numbers “embarrassing,” and noting teenaged angst does not translate well into “crowd-pleasing song and dance,” though had Fey/Richmond/Benjamin staged each number to a Taking Back Sunday song, they certainly would have captured mine (the musical is set in the present day and not 2004, but I don’t know what angsty music the teens listen to. The Chainsmokers? One Direction? Help.) Good or not, tickets appear to start at $149 and Lindsay Lohan is still sequestered in Dubai making ads for Lawyer.com, so there’s no hope for a cameo. Hence, I will probably skip this one, but if you go let me know if Janis Ian is still the only good character.